Electric vehicle maker Proterra says one of its buses set a record for distance traveled on a single charge, but it's not for sale yet. Tesla may have some more competition but not for its electric cars. Transportation company Proterra says one of its heavy-duty passenger buses set a world record for longest distance traveled by an electric vehicle. The 40-foot bus went just over 1,100 miles on a single charge. The bus prototype has a 660-kilowatt-hour battery. To put that in perspective, the Tesla Model S — a sedan — works on either a 75- or 100-kilowatt-hour battery. Those cars can travel up to 335 miles on a charge. Tesla has worked on branching into heavy-duty, electric vehicles. 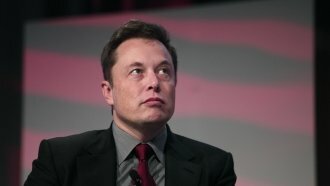 At one point, it looked like the company would make a passenger bus, but CEO Elon Musk later backed off that endeavor. Now, Tesla is focused on an electric semitruck. We don't know the battery specs, but it could be unveiled near the end of October. As for Proterra, the bus that made the supposedly record-setting trip isn't available yet. But the company has other versions of its electric bus in cities across the country.